Photo Gallery #733: Click edit pencil to get the selected gallery name. Great beer. Great food. Beautiful architecture, and even some cool lighting. There's a lot to like at Surly Brewing's Destination Brewery in Minneapolis. 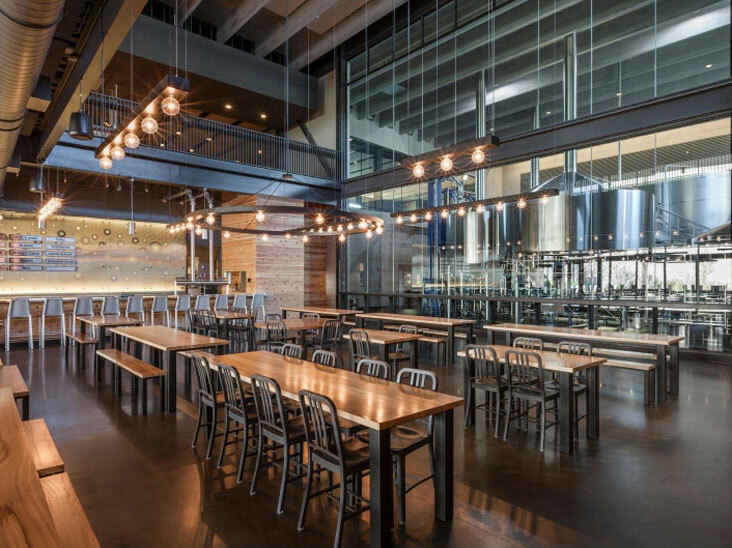 Manning Lighting built 12-foot diameter rings, and linear light bars in a variety of lengths, for the beer hall. Warm illumination from the vintage edison lamps add to the comfortable atmosphere.